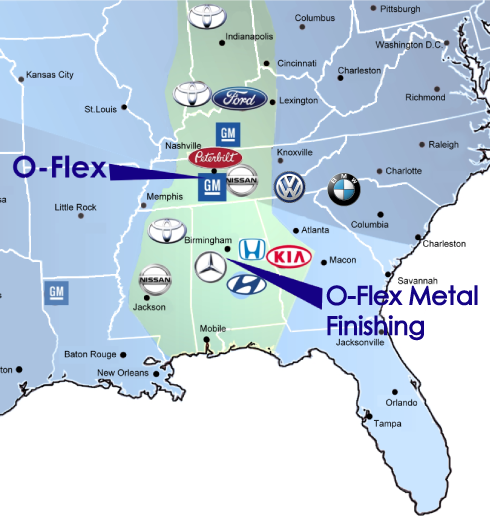 When you are in need of a specialized solution for your automotive project, your first call should be to O-Flex Group. Our strategic location, services, and up-to-date facility allows us to provide customized solutions for all of our clients. When our clients succeed, we succeed. The O-Flex Group team has proven this concept time and time again with our astounding awards, superior quality scores, 100% on-time delivery and consistent customer support. Since the very beginning, O-Flex has always been focused on creating innovative solutions designed to improve the safety of motor vehicles. Drawing upon our extensive manufacturing history in the automotive industry, O-Flex provides innovative solutions for improving safety in and around motor vehicles. Our O-Flex Energy Absorbing (OEA) tubes helps our customers meet or exceed required impact test results.